Sunlight from above left illuminates this scene, casting shadows to the right. The foreground figures are partially in the shadow of the building behind them, which is Zacchaeus’ house. 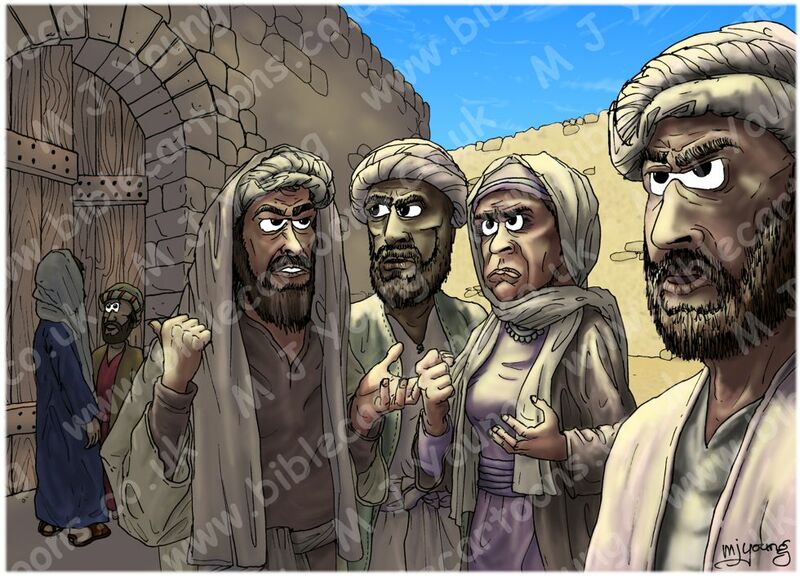 01) (Previous page) Luke 19 – Zacchaeus the tax collector – Scene 06 – Grumblers (Colour version). This version doesn’t have the strong cast shadows and sunlight present on the foreground figures. 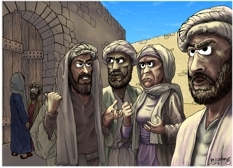 02) (This page) Luke 19 – Zacchaeus the tax collector – Scene 06 – Grumblers (Sunlight version). This scene contains strong sunlight and cast shadows covering the foreground figures. I also enjoyed drawing the deeper colours and shadows in this version of the scene. 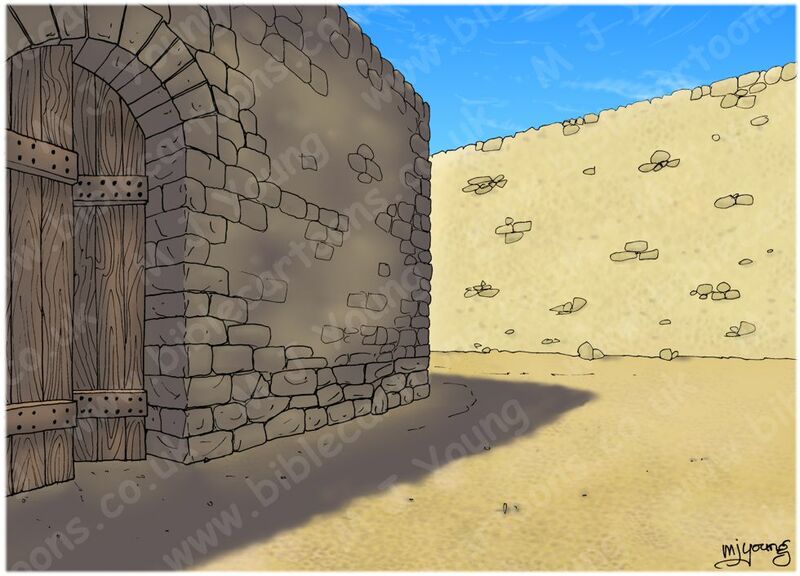 The shadow that is falling across the foreground figures is cast by the walls of Zacchaeus’ house. Some sunlight is just catching the edges of the figures. You can see Zacchaeus about to gesture for Jesus to follow him in through the front gate.